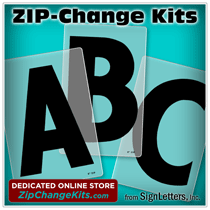 We offer these high quality flat cut out Acrylic Custom Sign Letters (Flat Plastic Sign Letters) and Custom Logos with several mounting (installation) options. Each sign letter thickness will have slightly different choices, due to some unavoidable material limitations. When you get your custom sign letters from us, we want you to be satisfied with the quality of the finished sign letter products AND with the ease of the installation of the sign letters on your building . Some methods of mounting our sign letters will be easier than others, but may be required or desired for your project. Standard stud mounts (choose this below) and Pad mounts (choose this below) will provide approximately a 1/2" to 3/4" stand-off from the building or wall surface. Any of the stud mounting options will require some type of drilling template (which we can provide) for installing the sign letters.